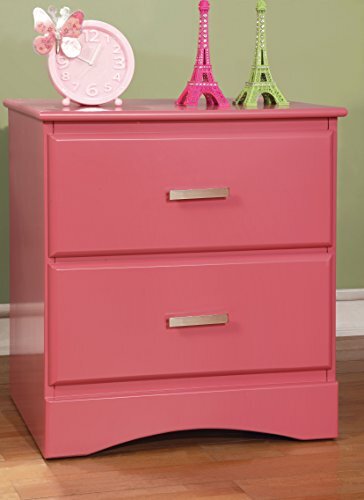 Lend a touch of charming color to any child's bedroom with the Furniture of America Koloa Youth Nightstand. This piece showcases a robust wooden construction for long-lasting quality and appeal. Two drawers come equipped with center metal glides for convenient storage and display. Available in a variety of color options to fit your unique decor. Made in Vietnam, assembly required. Overall dimensions: 19"L x 16"W x 21"H. All décor and items are not included in this offer unless specified.